Relational databases worked well for a long time, and they still have their use cases. But when it comes to thriving in today’s real-time, data-rich world, organizations need a lot more flexibility and agility from their database. Why today’s enterprises need to be taking a multi-model approach to data management. 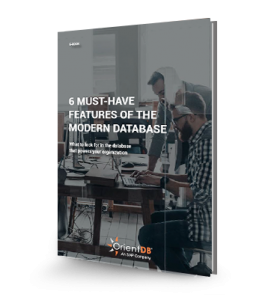 How features like high performance, scalability, and security factor into the modern database design. What it means to be “versatile” in data management today.